Break ups are complicated. 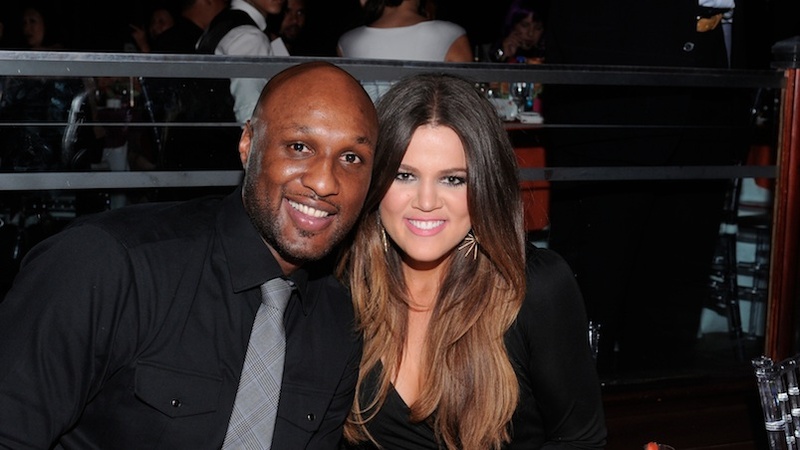 So when we heard that Lamar Odom wants to repay Khloé Kardashian for everything she’s done for him — and get back together with her — we had very, very mixed emotions. "When you're doing drugs, you become distant to everything. Even your feelings, you become numb to everything. Just to reinstate what we had as a family, it was important to me. Khloé is important to me. She's been through all this with me. She stood by my side. I just want to repay her." On the one hand, we’re genuinely so glad to see Odom healthy and stable. Addiction is a disease, and sometimes very good people make very bad decisions when in the throes of it. And we’re also happy to hear that he’s clearly extremely appreciative of everything Khloé has done for him. (ICYMI, she postponed their divorce so that she could serve as his medical advisor when he was physically unable to make important decisions for himself, and stuck by him during his recovery after he fell into a coma). BUT, on the other (very big, very important hand), Khloé appears to have moved on. She’s made no secret of how happy she is with boyfriend Tristan Thompson, and honestly, after the couple years she’s had, she deserves it. At the end of the day, what happens next is totally up to Khloé. We’re sure the whole situation isn’t easy and is likely full of a ton of confusing and conflicting emotions — so we’re sending good vibes to literally everyone involved.